Whether you’re a seasoned four-wheel driver or you’ve never left the bitumen, this part of the High Country offers a fantastic off-road experience. From rugged backcountry trails to old forestry tracks, there is a range of routes to suit all levels of ability. Drop in to the Mansfield Visitor Information Centre for expert advice and maps. PLEASE NOTE: Many tracks are closed during the winter seasonal road closures between June and early November. 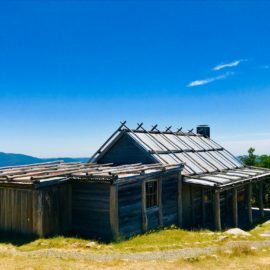 Built for the filming of The Man From Snowy River, Craig’s Hut is an Australian icon and one of the area’s most popular 4WD destinations. The setting is stunning with views across folds of mountains including Mt Buffalo, Mt Cobbler, and Mt Buggery. 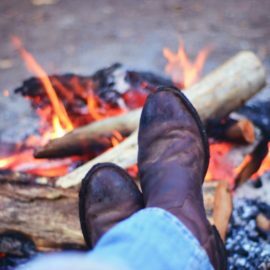 This track takes you through pioneer country. 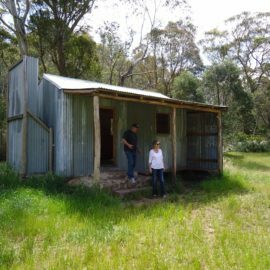 Visit the homestead site at Mitchells Flat, the disused slate mine on the Mitchells Flat Track and the aboriginal greenstone quarries at the Howqua Hills Historic Area. 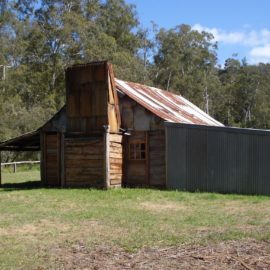 From Mt Stirling, passing through the Howqua and Delatite Valleys, this is a very beautiful route taking in cool, tall forest and then, as you gain the snow line, the High Country Snow Gums. Visit the waterfalls at Bindaree or stop for one of the other easy pretty walks en route. Taking Speculation Road down from Circuit Road to King Hut, this track crosses the King River then continues up the renowned 'Staircase' to Cobbler Lake Track. If you have the time, the short walk from Lake Cobbler to Dandongadale Falls or the longer walk up to the summit of Mt Cobbler are both highly recommended. Traversing steep inclines with stunning views across the High Country, this is a demanding but rewarding tour. 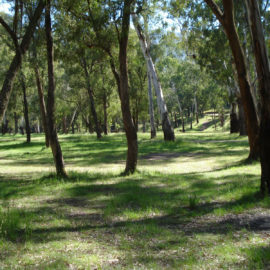 There are several excellent spots for camping, picnicking, fishing and swimming.